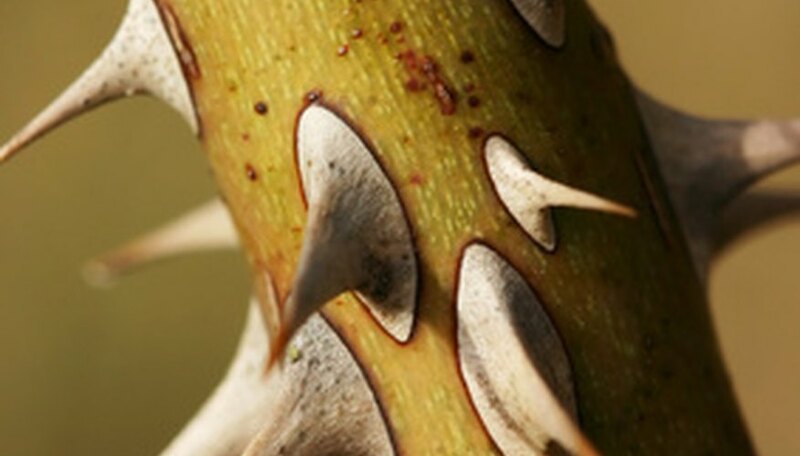 Thorns are plants' protective barrier that helps them escape being devoured. Herbivores enjoy munching on plants. However, plants with a thorn barrier are less likely to be eaten. Thorns are located in many areas of the plant. 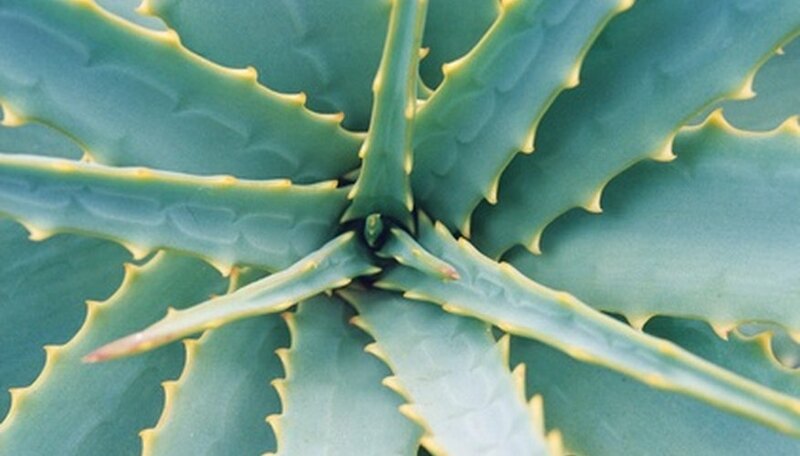 Plants like agave and roses have sharp thorns growing on their stalks and stems, while other plants have coarse spines edging their leaves. This slow-growing evergreen has coarse texture and showy foliage. The Parry’s agave has a clumping form that grows 1 to 3 feet high and wide. The bluish gray leaves are dense with a rosette form–meaning they stem from the base of the plant–and grow up to 2 feet tall. The thick leaves are edged in spins with a terminal thorn at the end that is extremely sharp. Beginning in the summer, the flowers on the Parry’s agave emerge on 6- to 15-foot stalks. The flowers are tinged in red or pink and die down after flowering. Parry’s agave plants require full sun and dry to medium, well-drained soil. Parry’s agave plants are also drought tolerant. Their USDA hardiness zone is 9 to 11. The Washington hawthorn is a slow-growing deciduous tree with a pyramidal form. Washington hawthorn trees grow 15 to 20 feet high and have thorns along their gray branches. The bright green leaves range from 1 to 3 inches long and change to yellow in the fall. Beginning in the spring, small white flowers emerge to light up the tree. The clustering flowers have an unpleasant odor and grow up to 2 inches. The berries on the Washington hawthorn are orange-red and persist into the winter. 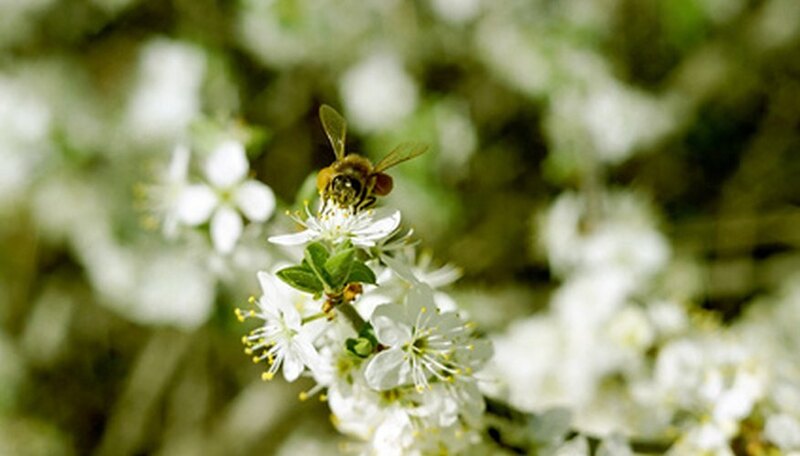 Washington hawthorn trees prefer full sun to light shade and well-drained soils. These hardy plants are drought tolerant but can also tolerate damp sites for short periods of time. Washington hawthorns are resistant to leaf rust. Their USDA hardiness zone is 6 to 8. The mentor barberry is a moderate to rapidly growing deciduous to semi-evergreen shrub. Its upright form is dense and mounded and the stems are thorny. The mentor barberry grows up to 5 feet high and 7 feet wide, ideal for growing as a barrier or privacy plant along a backyard patio. The leaves on the mentor barberry are dark green, leather-like and grow 1 to 2 inches long. Beginning in the fall, the leaves turn yellow, red and orange and hold their color into late fall. Beginning in the spring, the yellow flowers emerge to contrast with the foliage for a showy display. Mentor barberry bushes prefer full sun to partial shade and well-drained soil. 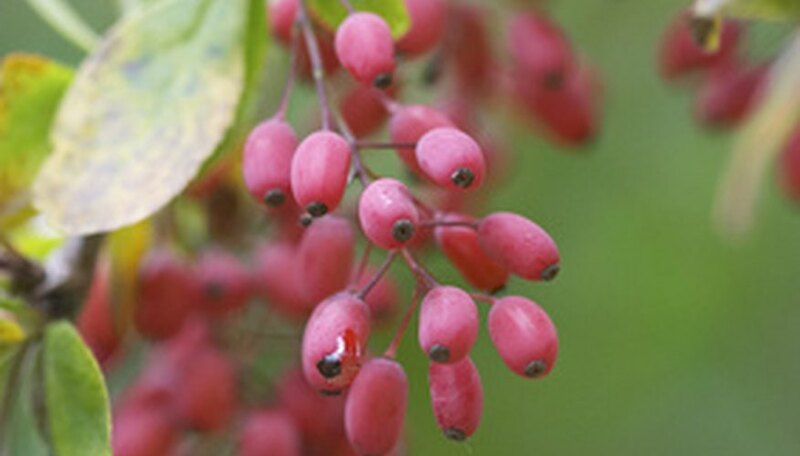 They are also drought and heat tolerant, making this a very versatile shrub to grow. The USDA hardiness zone is 5 to 8.